Arsenal and Sporting CP meet at Emirates Stadium, in a match for this stage of the UEFA Europa League (Group Stage). The home advantage may play an important role in this match , since Arsenal presents significant differences between home and away results. After 3 wins, the home team is currently in the 1st position, with 9 points won. In the last match, they have won (0‑1) in an away match against Sporting CP, after in the previous round they have won (0‑3) in an away match against Qarabağ. This is a team that usually makes good use of the home advantage, stronger with the help of its supporters, since in the last 30 matches they register 7 wins, 3 draws and 5 losses in away matches, with 33 goals scored and 20 conceded; against 11 wins, 3 draws and 1 loss at their stadium, with 38 goals scored and 13 conceded. In their last match, for the Premier League, they got a home tie against Liverpool by (1‑1). In the last 10 home matches Arsenal has won 8, tied 1 and lost 1. Their offense has scored frequently, since they have scored goals in all of the last 10 matches. In their home matches there is a tendency for goals, since 32 of the last 34 matches have ended with Over 1,5 goals and 24 out of 34 have ended with Over 2,5 goals. They have conceded the first goal in 5 of their 15 matches, but have been able to turn the score around in 2. Arsenal heads to this match after a 1-1 home draw against Liverpool. Contrary to the opponent of this clash, Arsenal plays usually in a 4-3-3, privileging a style of game of constant transitions, where the three most advanced men are Aubameyang, Lacazette and Mkhitaryan. The two great strengths of the locals are how to get around a disadvantage and the ease of creating dangerous situations. Coach Unai Emery will not be able to count on Elneny and Koscielny for being injured. Confirmed Lineup: P. Čech, R. Holding, C. Jenkinson, S. Papastathopoulos, S. Lichtsteiner, H. Mkhitaryan, E. Smith Rowe, A. Iwobi, A. Ramsey, M. Guendouzi, D. Welbeck. The away team is currently in the 2nd position, with 6 points won, after 2 wins and 1 loss. In the penultimate round, they have won an away match against Vorskla by (1‑2). 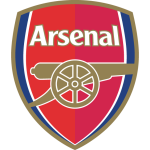 In the last round, they have lost a home match against Arsenal by (0‑1). This is a team that usually maintains its competitive level in home and away matches, since in the last 30 matches they register 8 wins, 1 draw and 6 losses in away matches, with 23 goals scored and 22 conceded; against 10 wins, 3 draws and 2 losses at their stadium, with 21 goals scored and 7 conceded. In their last match, for the Primeira Liga, they got an away win against Santa Clara by (1‑2). In the last 10 away matches Sporting CP has won 6, tied 1 and lost 3. Defensive consistency hasn’t been their best feature, as they have conceded goals in 7 of the last 10 matches, but their offense has scored consistently, as they have scored goals in 8 of the last 10 matches. In their away matches there is a tendency for goals, since 26 of the last 30 matches have ended with Over 1,5 goals. 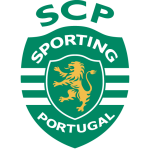 Sporting comes to this game motivated after a 2-1 away win over Santa Clara: Bas Dost and Acuña scored the goals of the victory. It is expected that Sporting will return to its usual 4-4-2, where the two players responsible for launching panic on the opponent's defense will be Bas Dost and Diaby. The home team is aware of the extreme difficulty of this clash, but hopes to count on the good form of some of its players, mainly Acuña, to try to achieve a positive result. Coach Nuno Presume will not be able to count on Raphinha, Sturaro, Battaglia and Ristovski for this match for being injured. Confirmed Lineup: Renan Ribeiro, S. Coates, Bruno Gaspar, J. Mathieu, Bruno Fernandes, Miguel Luís , N. Gudelj, Abdoulay Diaby, F. Montero, M. Acuña, Nani. The most likely scenario for this clash will be the occurrence of multiple goals. Arsenal is a team that score goals with some ease in the home matches, having scored a total of six goals in the last three games. It should be noted that Sporting needs to try to conquer a positive result, with the aim of trying to get closer to the qualification to the next stage. Thus, all the conditions seem to be met for a beautiful spectacle.